In case you haven’t noticed by all of the posts and pictures the month of March was Athletic Training month! 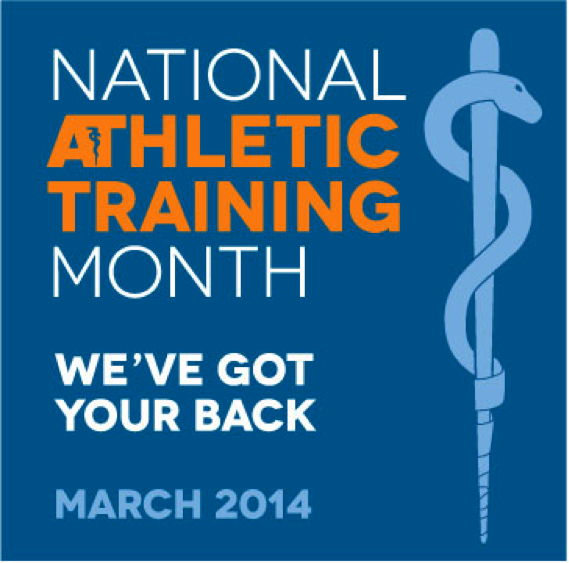 The theme this year by the National Athletic Trainers Association (NATA) is We’ve Got Your Back! Previously my wonderful, smart, and talented colleagues have highlighted what an athletic trainer is, what they do, and even how to spot one. Today I wanted to take a closer look at ATs and the relationship that they have to the communities that we live in. As an athletic trainer at a high school I get to form a lot of fun relationships. I get to know teachers and school professionals, high school and middle school kids, parents, and of course the healthcare professionals in the area. One of the most fun and rewarding relationships is with the student athletes that I work with everyday. The kids that I see everyday put a trust in me that goes beyond whether or not I think they should put ice on their knee. Kids come in and talk about school, drivers tests, boyfriends/girlfriends, and future plans. Athletic trainers have your back in more than just sports but in life. In my athletic training room I have a rule of no swearing or negative language. It is always fun to be one of the first people to know about a kid’s accomplishments. Whether it be restoring full range of motion, winning a state championship, or passing their drivers test it is very exciting to be a part of the high points in their life. What makes these accomplishments so exciting to witness is that I have seen all of the tears, frustrations, and setbacks that have been in the journey to their mountain top. I have been with the kids that have lost the game that made them conference runners up but then won the state championship. I have been in the AT room when a kid walks in crying from failing an exam but works to get an A on the final. I have seen a kid that just made the starting line miss a full season due to an injury and then come back and get a scholarship for college. 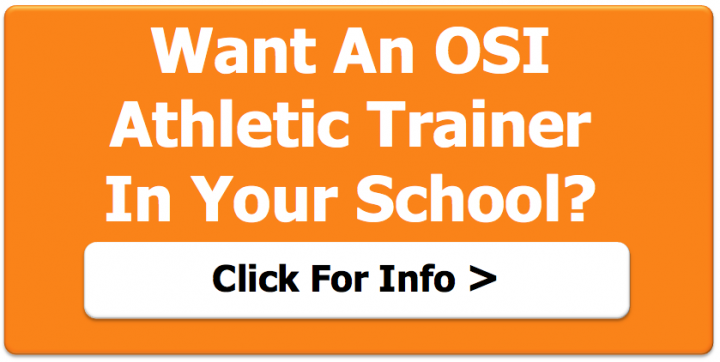 ATs do not just tape an ankle or check for concussions. We challenge the kids to increase their determination and ability and we encourage them when times are hard. Sometimes what takes place in an athletic training room is nothing short of a miracle. I love seeing the positive change that happens in the athletic training room. The people that walk in and out of my door are the reason why I do my job, they are at the heart of it.